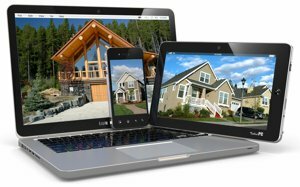 Using Realtor.com, Trulia, and Zillow, and dozens of non-local websites online, many buyers and sellers might think “Why does anyone need a real estate agent?” The answer is everyone does! 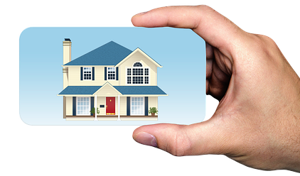 Those websites are designed to be user friendly and have the effect of making consumers believe the entire real estate process is easy-peasy, just like the website. But, the truth is there's a mountain of work that goes into a real estate transaction besides finding a home. Or selling a home. You might think this a propaganda, considering what we do for a living, but give us a minute! This is probably the biggest financial decision/investment you will ever make. That's huge. So, here are a few reasons why it's really important to use a local agent rather than try to go it alone. First, agents know the area. Zillow, Trulia, and all the others don't. Not at all. They want you to believe they do, but they don't. They don't know neighborhoods, they don't know the construction type good/bad, they don't know the condition of the home, they actually don't know where it is, except for the zipcode. That's VITALLY important in the White Mountains AZ, a small but extremely varied market. All those property aspects and many more affect the value of a home, including whether it's financeable, what type of financing, cash only, etc. It may look fantastic seen online, but only an experienced local real estate agent can tell you the "nuts & bolts" about the property. And whether it's what you're looking for. These big online websites also pepper their websites with handy-dandy information that leads consumers to think they've gained knowledge that they can use. Typically, not. 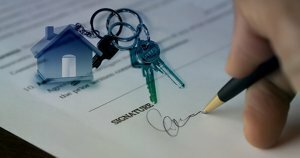 They'll attempt to instruct consumers on many areas of real estate and real estate transactions. But, it takes a real estate agent to actually explain these processes and how they apply to a consumer's very specific situation, goals, and abilities. Good local realtors also know their areas better than anyone. They are your best resource for finding a home in the neighborhood and price range you want. Buying and selling requires sharp negotiating skills. Depending on the home,there may be substantial competition, cash offers, bidding wars, and other factors to consider. Local agents know all about this. They do this for a living. You may buy/sell a couple of houses in a lifetime. Real estate agents do it 100s of times! You need someone who will always have your back and your best interests. They've got "people". Experienced agents know everybody-- mortgage companies, good/bad, escrow companies, home inspectors, tradespeople, movers-- all resources you need. The good, the bad, and everything in between. This expertise is of tremendous value when it comes to handling transactions that pose very different situations. They do a ton of work to earn their commission. And you may only see a fraction of the work, time and effort they put in on your behalf. Because, a big part of an agent's job is to make things easy for you. To take the heat, bear the stress, take on the worry, work through difficult situations and sometimes difficult people with experience and savvy. So you don't have to. So you don't see it. It's what we're hired to do! Do you want to know about some easy effort, low-cost but highly effective things you can do to increase the asking price of your home? If you're seriously thinking about putting your home on the market, or if it's already up for sale, you can boost your home's value by making some small changes that will certainly make your home stand out during showings, and also address any potential issues before buyers do. 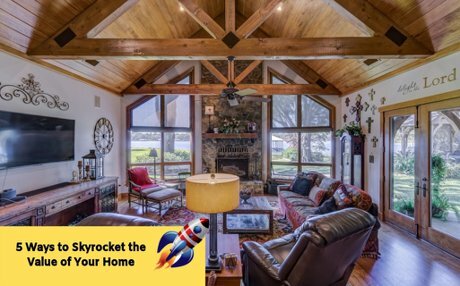 Here are five super-easy ways to boost - if not skyrocket the value of your home. If you're considering some remodeling, updating, or upgrading, the kitchen and bathrooms are where you should concentrate first. Those two areas are proven to affect the value of your home the most, and you’ll benefit from spending the most time and money on improving them. To keep costs down and avoid expensive major overhauls, pay attention to only what will give you the most return on a relatively small investment of money and time versus renovation. A fresh coat of paint, maybe a facelift of countertops and cabinets, new faucets and fixtures will actually leave you with a high return. You've heard this before: De-clutter! Clutter is visual noise and seriously detracts from the buyer's attention to all the value aspects of your home. Get rid of any clutter. Moving furniture slightly away from the walls will also make the rooms seem more open and spacious. Less is more! Store away whatever furniture you don't need to increase visual appeal and a clean look. Are there any rooms you might transform into an extra bedroom? A few new pieces of furniture can transform a small den or home office into a guest or extra bedroom that will appeal to buyers and is a simple way to increase the value of your home. 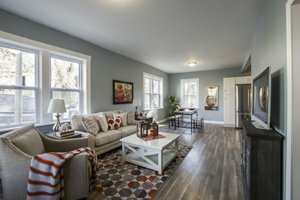 Many times lighting is gets overlooked when staging a home for showings. First impressions are lasting impressions, so light it up for a positive first impression. Make every room bright with new higher wattage light bulbs, keep blinds, draperies, curtains open to allow more natural light. Make windows sparkle. Lighter paint colors will also create a spacious and uplifting feel to the rooms. Most people, and this includes buyers, feel relaxed and happier in a bright and welcoming space. A well-lit room will subconciously boost buyers' moods, making them feel "at home"-- and that's exactly what you want. Think about what you can do to refresh and revamp your home without hiring others to do it for you. Pay attention to the "main attractions" that people tend to notice first, such as the kitchen cabinets and the flooring. Again, a fresh coat of paint will work miracles! Observe with a keen eye things like dated wallpaper. Removing old or decorative wallpaper that once made sense, but does no longer, goes far and away to making the home appear fresh and modern. Simply cleaning up and squaring away makes an immense difference, both inside and outside. Get rid of and replace any old worn out rugs or furniture to make the whole room look brand spanking new. Shape up the outside similarly. Removing chipped paint and repainting, beefing up the landscaping will go a long way to increase value. It’s important to address any major repair issues before buyers and other agents notice them. 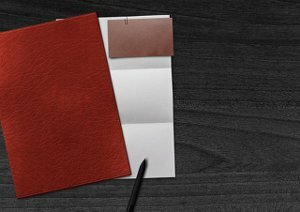 Consultation with a REALTOR is crucial to discover any underlying issues that could negatively impact an offering price on your home. Consider having a prelisting inspection to uncover repairs/replacements you should make, giving you an opportunity to fix them before your home is put on market. Plumbing or heating/cooling, or water pressure, or leaks, for example, will diminish the value of your home. Although repairs may not always be low-cost, the return on the investment is very good. These are often necessary steps to take to get the best offers on your home. In summary, you don't have to and shouldn't "go for broke" to maximize the value of your home. Knowing where to focus your prelisting home revamping efforts will make your home stand out even in the most competitive markets. By following these five simple tips and enlisting the professional opinions and suggestions of an experienced local REALTOR, you’ll be successful in bringing serious buyers to the table with the kind of offers you're aiming for in no time at all. Thinking about selling your home? CLICK HERE for a free home evaluation and send us a message-- we would love to help! Saw a post in our Facebook feed announcing a group event. Hiding a painted rock, giving coordinates, and encouraging people to find the cache, leave a painted rock behind. Fascinating. I wanted to find out more. Well, it's a thing. A beautiful, uplifting thing. 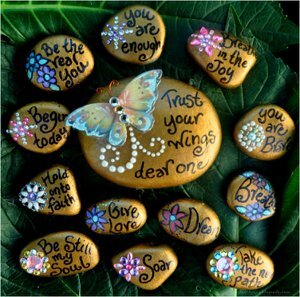 The "Kindness Rocks Project", was founded by Megan Murphy. From the website The Kindness Rocks Project: "It all started with a single stone on a beach in Cape Cod and now spans the globe. The Kindness Rocks Project, founded by Megan Murphy, is based on the profound truth that one message at the right moment can change someone’s day, their outlook, and, indeed, their whole life. 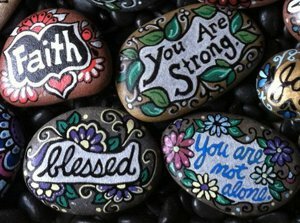 The messages on these thoughtful pebbles take many forms: gratitude, affirmations, encouragement, and offers of hope—all signposts along the way for someone to find at exactly the right time." It's pretty easy to participate, even if it's just you and maybe a couple of others. But, YOU can do this alone, and maybe make a tiny difference in the world, quietly, one painted rock at a time. I'm (Pam) going to start painting rocks. Maybe, just maybe someone who needs to hear something good will find one I tuck away somewhere. Call it "random acts of kindness". "OUR GOAL IS SIMPLE… TO PROMOTE RANDOM ACTS OF KINDNESS TO UNSUSPECTING RECIPIENTS BY PAINTING AND DROPPING INSPIRATIONAL ROCKS" Just thinking outside yourself and getting outside in nature is a good thing. DOING a good thing is even better. For everyone. There are Facebook groups from all over the country that you can join, and maybe some nearby! Just search Facebook groups. Smooth sandstone works great. Look at waterways for smooth rocks and unique shapes. Let the rock talk to you! Please refrain from taking rocks from other folks’ landscaping. Do not collect rocks in national parks and monuments or in State parks – it is illegal. White Mountains AZ Real Estate Downsizing Your Home - Is It for You? The Wachter Team increasingly is seeing home sellers and buyers who are in the process of downsizing. And we can relate. When was the last time we used a gigantic soup tureen that Pam made? Or the enormous turkey platter? The place settings for 12? Certainly visions of joyful gatherings, parties, the fun and enjoyment we remember tug at our fond memories. But, more and more as we and others look around our big homes, stuffed with a lifetime of things that mean things, we're a little lost. So we fully understand our downsizing clients. We want to help. It's such an emotional time. 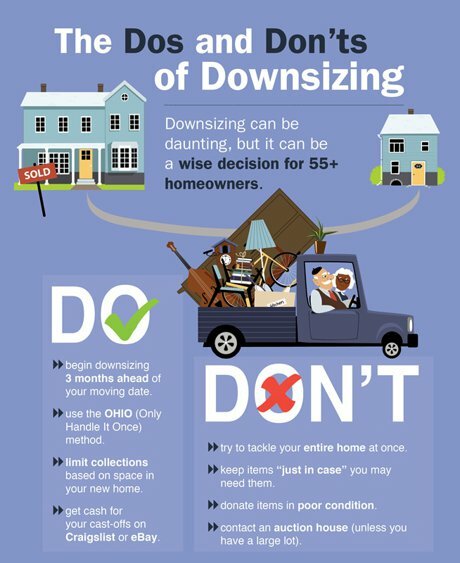 But it makes sense to look at downsizing from a logical standpoint. Is it right for you at this time in your life? Time to focus on the future and not the past? Let's think it through together. How Much Space Do You Really Need? Empty nesters probably don't need that 3rd or 4th bedroom. More than likely friends, family won't mind being put up in a nearby hotel for family gatherings. More than likely children and grandchildren may be distant. At least that's what we're seeing. And most family will empathize with your desire to give up the family home that you kept for them all those years. Most family just want you to be happy. How often to you have company? Really, how often are children and grandchildren able to visit? Look at things the way they are. Not the way the used to be. Yes, it's hard, and we all yearn for days gone by-- but there's a whole lot more life to come! Would You Like or Need the Extra Money? A large family home has usually built up a lot of equity over the years, and in many cases we see that the home is owned "free and clear". The opportunity to capitalize on that investment is a huge plus. Think of what you could do with the money the sale will free up. You might be able to retire a few years earlier. Be able to travel, see and do things you've always wanted to do. With more and more people retiring every day, many are considering White Mountains AZ for retirement living. And our 55+ communities are extremely attractive, including RV resorts! The White Mountains offers unlimited recreational, educational, senior support services, a huge medical center, and a peaceful and quite lifestyle. Roads are all excellent and typically uncongested. There's always something to do in the White Mountains! These RV resorts are not the "trailer parks" of old, either. With nicely appointed Park Model Homes, or well-made newer manufactured homes, even RVs, these well-kept and pretty communities offer seniors a lovely setting in the small-town atmosphere of the White Mountains. There are also several "stand-alone" home communities, too. Many of these communities allow you to own the land under your home. There are a few that do offer homes on leased land. HOA fees vary, but are affordable and can include pine lots, waterfront homes, water features, clubhouses, fitness centers, bike and walking paths, golf, tennis, RV and other storage. All are close to shopping, goods/services, and medical facilities. Pickleball in the White Mountains of AZ! Come play with us! Come and play with us in the Pines! Do you know about pickleball? Maybe you do, but if not, pickleball is one of the fastest-growing sports in the U.S. Due to the exploding popularity of this scores of years-old game, parks and recreation departments are adding pickleball to their sports programs. But what is pickleball exactly, and why is it becoming so popular? Pickleball is a "paddle sport" that combines elements of tennis, badminton, and ping-pong using a paddle and plastic ball with holes-- like a whiffle ball. The game is appropriate for players of all ages and skill levels. Basically, anyone can play. And the rules for pickleball are simple, making it a great introductory sport. But, depending on levels of play, pickleball can be quite a challenging, fast-paced, and competitive game when people become more experienced at playing. Most home buyers "ask Google" to help them find homes online. From those results, people pick from whatever pops up in a search. But, most people really don't know where to find homes online. They think that the websites with the most pictures, some Q&As, is the best place to look. Unfortunately, that's hardly true. Websites that have homes from all over the country (and world) pull data from many sources. Some good, some not so good. They're what are called "aggregators"-- putting together lots of data from everywhere, with much of it not of much use, outdated, or just plain unreliable. But those websites look busy with a lot of activity, so people are attracted to them. It can be maddening when information is incomplete, or just plain wrong. Most importantly much of the data needs refinement, and that refinement can only be done by Realtors who are "on the ground" in that market. These websites also charge real estate agents hefty fees to be "featured". It is "pay to play". But what does that mean? 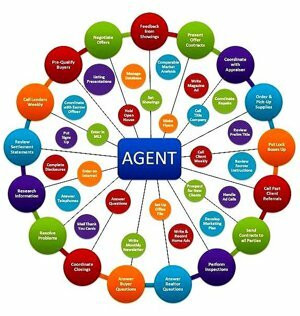 Did the website choose the agents who appear on the website? No. Those are paid advertisements with no relation to actual experience or professionalism of the agent. So that begs the question, "Who are you actually contacting?" You really don't know. You also will more than likely hear from several unknown agents who have paid the website for your information to follow up on. Who are they? You really don't know. Are they best suited for the work you need them to do? The real estate tech trend known as "ibuying", or an "ibuyer" is a company that will make an offer to buy your house sight unseen very quickly, and that figure is based on their own automated valuation model (AVM). Ibuyers, if you accept the offer, can usually close very quickly. They will offer a streamlined process that's fast and easy, less hassle than a traditional sale. This method can be a good choice when a seller needs to move quickly for a job, to be near family when older, a "distress" sale, where a seller needs to get out from under fast-- and other reasons. So, the model does work for some, that's true. Sounds pretty good. Is there a catch? What, or who is actually behind the transaction? An investor. Or investors. An investor is buying the home. They're not "bad" people. They're not "stealing" homes, although there's a lot of negativity surrounding the Ibuyer model from traditional agents. And what do investors want? A profit. Can't blame them. After all, they're taking all the risk. They may end up "holding" the property for an extended period of time, which is costly and cuts into their profit margin. So, with risk in mind, Ibuyers will charge a full commission that may be greater than that of a traditional real estate agent. That's not mean or shady, it's just how that business model works. An Ibuyer will also discount the value of the home to offset the risk they're taking giving the home seller instant liquidity. They're giving the seller cash. The buyer, or investor, is using his own money. He's not financing. Curious About White Mountains AZ Real Estate? Curious about White Mountains AZ real estate? So are we! Every month we review trends in our real estate market and consider the number of homes on the market in each price tier, the amount of time particular homes have been listed for sale, specific neighborhood trends, the median price and square footage of each home sold and so much more. We’d love to invite you to do the same!